Maidenhead’s schools are officially out for summer this Friday. 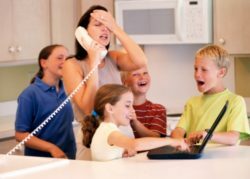 For some it might be the last chance to get some last minute work done before the mayhem of the summer holidays begin, while for others, whose little darlings might already be off, then it is could be a chance to get away for some peace and quiet!. Ever feel a little like this?! Come on down to MyWorkSpot this Friday, get some work done with super-fast Wifi in our spacious hotdesking area and network with your fellow coworkers. To mark the offcial start of the Summer Holidays, for this Friday only, we will ALSO be providing Pimms and Sandwiches, along with our normal coffee & tea. If you haven’t come to MyWorkSpot before and don’t yet have a NearDesk card (to gain access to the facility), then we are very happy to offer you access to this event within our hotdesking area. Please RSVP and we can register you when you arrive.